The half-forgotten story of Britain’s ‘Special Brigade’ : the unit formed to retaliate against Germany’s use of poison gas in the trenches of the Great War. The story of these ‘chemical soldiers’ has been obscured by shame and propaganda, but author Donald Richter here rescues them from myth and legend and restores them to their important place in Britain’s military history. 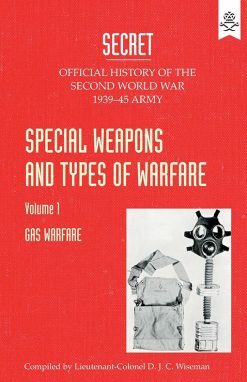 Although the Brigade has received little attention since its disbandment following the war, chemical warfare in World War I’s image has been distorted by legends and sensationalised by half-truths. 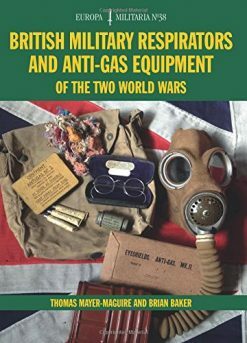 Taking a new look at the reality of poison gas warfare in the trenches, and the role of the Brigade, Donald Richter exposes the myths perpetuated over the years and challenges prevailing views. 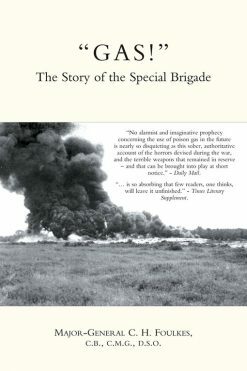 He weaves data from official military records with personal anecdotes from diaries, letters and memoirs to create a real-life account of the formation of the Brigade and the frustration, fear, boredom, pain and day-to-day life that followed. To make the story complete, Richter takes a critical look at the Brigade’s leader, Charles Foulkes, revealing a forceful and capable but stubbornly obstinate commander.